​A birthday is a good excuse for a little weekend getaway. Actually, no one needs an excuse to take time off to refresh and revive. My birthday is in the early spring and as a treat, my husband, a.k.a. "Slim", (if you saw him you'd understand the nickname) took me on a little getaway. 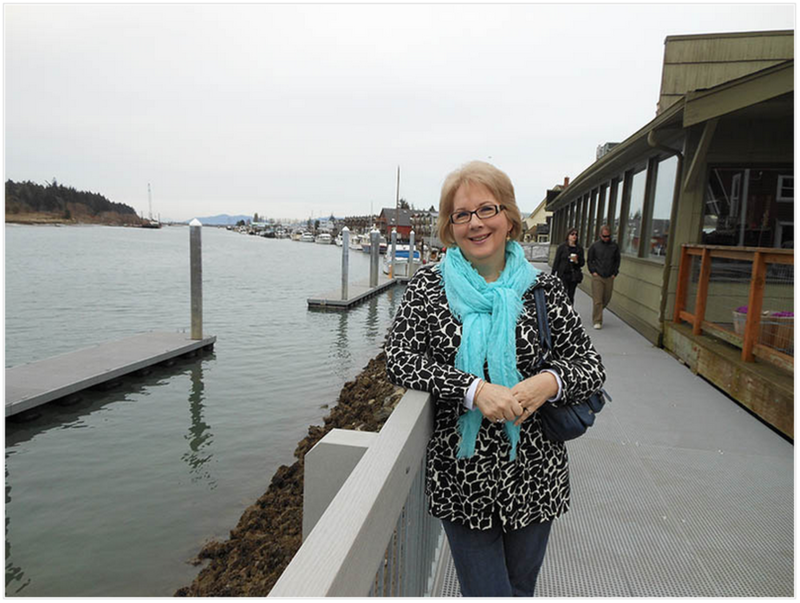 I decided to invite you along on my trip to the northwest corner of Washington state. After a couple of other stops—a little shopping, a big coffee—we arrived in La Conner in time for lunch. This is the main shopping street in this charming waterside town. And this...The cottons and linens make you practically drool. Yes, I love fabrics, patterns, and clothes. ​Cute touches and creative ideas are everywhere. Who would have thought to use old spoons and tin cans like this? Clever, right? An old rake hung upside down on a wall becomes a set of hooks for jackets, scarves, ribbons, or something else. Your imagination can take you there. 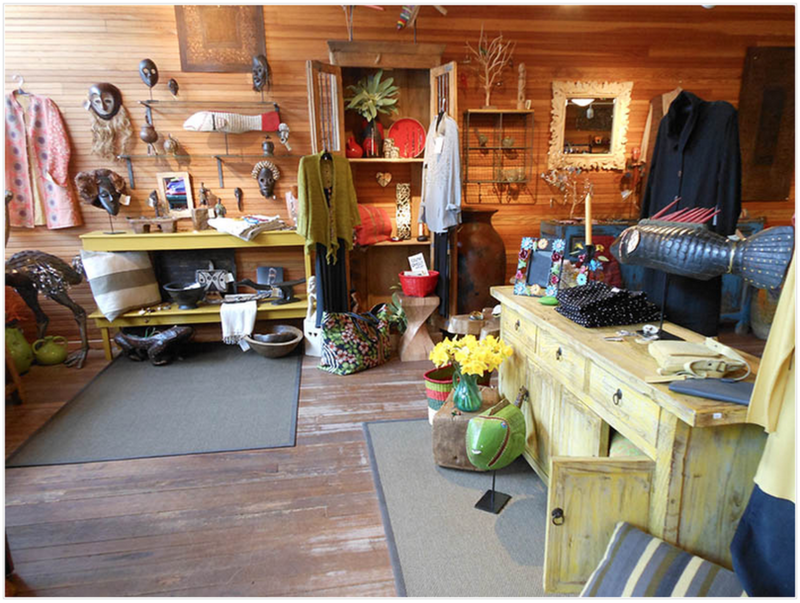 ​One of the things I love best about La Conner is that it's right on an inlet from the ocean. 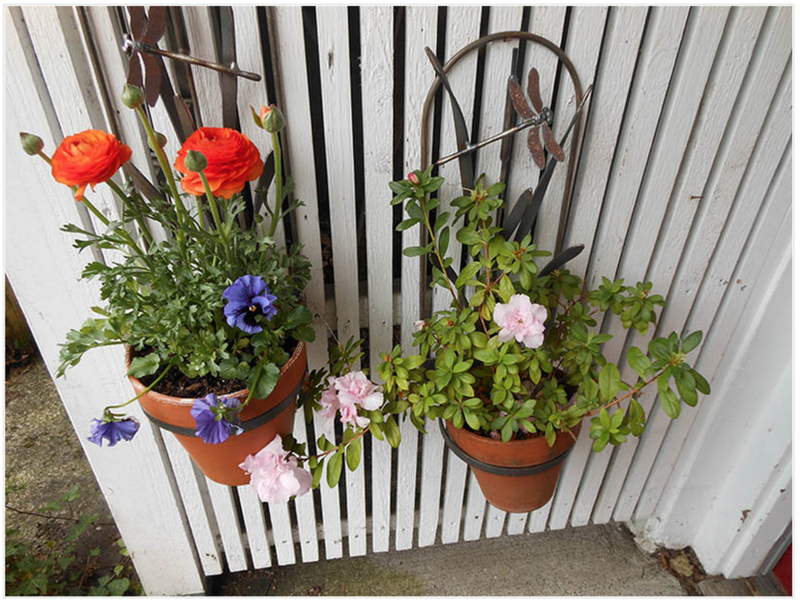 ​Sometimes the simplest things are so beautiful, like flowerpots hanging on a picket fence. Just look at those ranunculus! 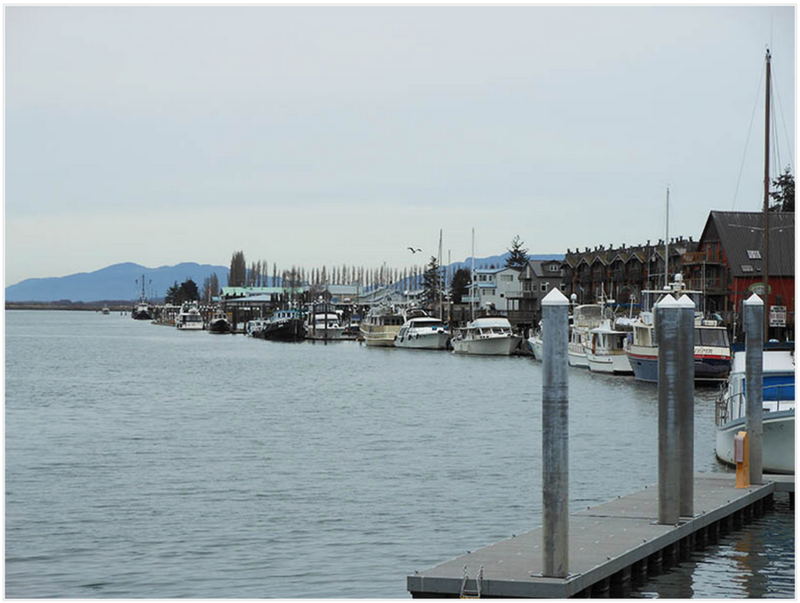 ​Tides, gulls, boats...what's not to love? 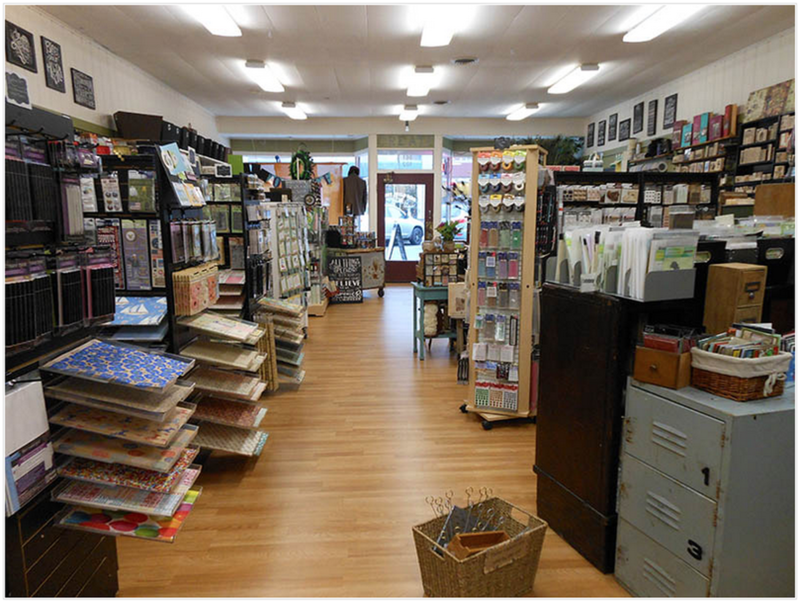 Next stop, Oak Harbor where I discovered this gorgeous paper arts store called Frida's, A Beautiful Mess. ​They had the most imaginative displays for their wares. It's hard not to want to buy one of everything...or two...or three. Yes, time to move on. 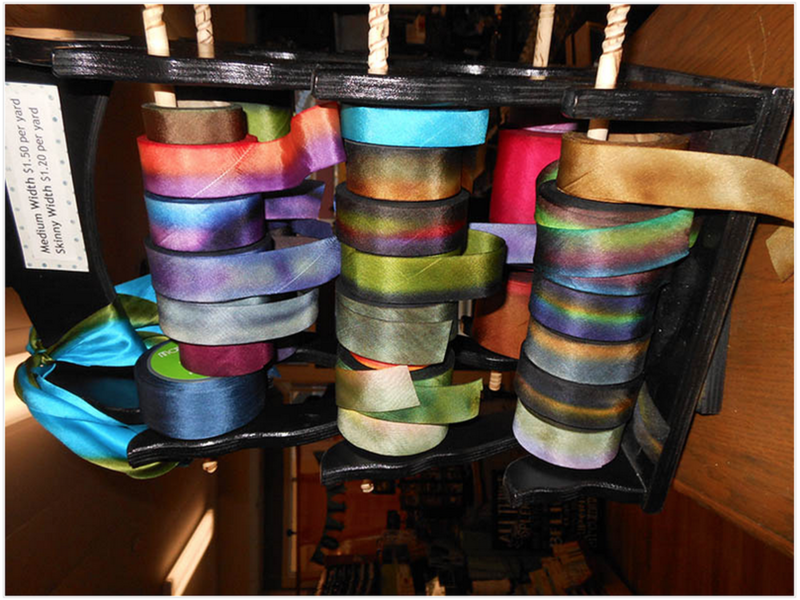 But not before I show you these ribbons. Don't they just make you gasp? 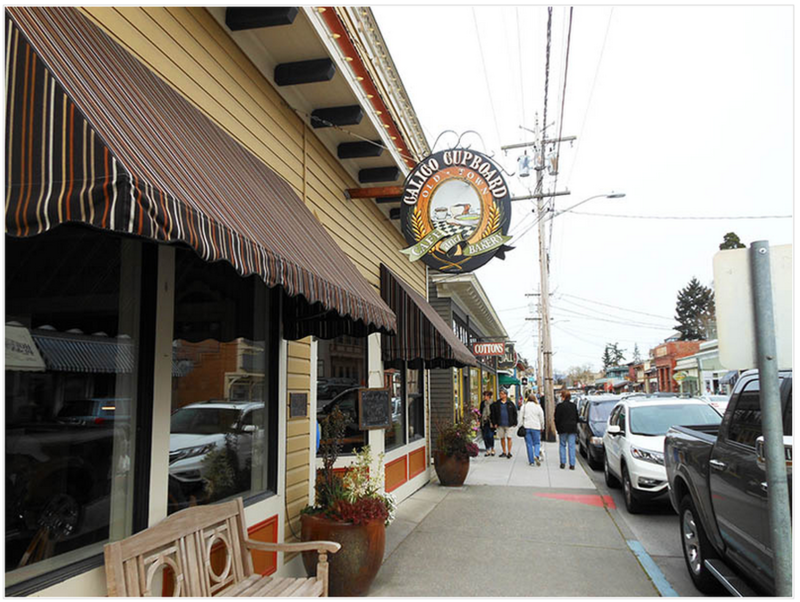 After spending the night in Oak Harbor we headed down Whidbey Island (What? I didn't mention that we were on an island?) 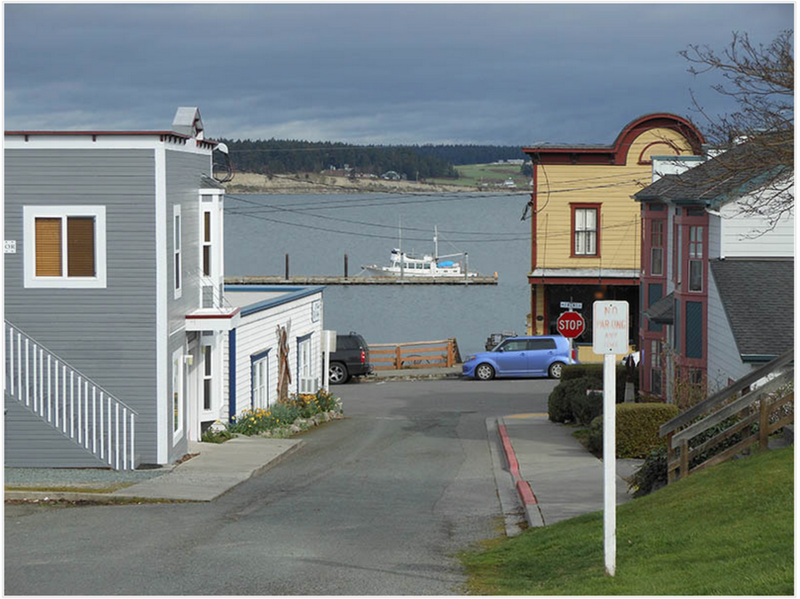 to the sweet little historic town of Coupeville. 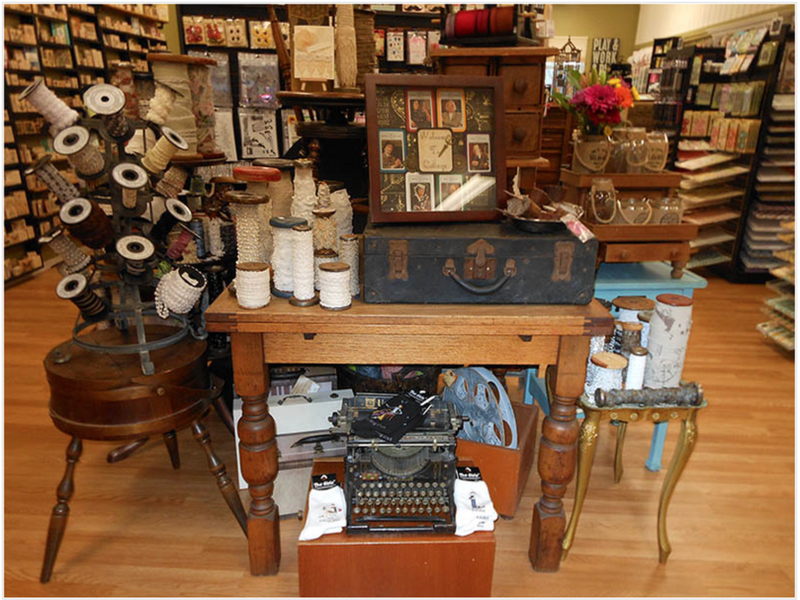 ​The weather had turned cloudy and drizzly but it was still fun to poke around in the shops, like this one called Aqua Gifts. Isn't that the most perfect name for a shop that backs right on the water? It's not often you get to see Helibores in bloom but our timing must have been perfect because they showed up in pots and flowerbeds all over the place. Just look at this delicate colour. It's like someone painted them with a watercolour wash.
​More tempting shops. Of course, I had to go in and have a look. Collections does have the loveliest collections. 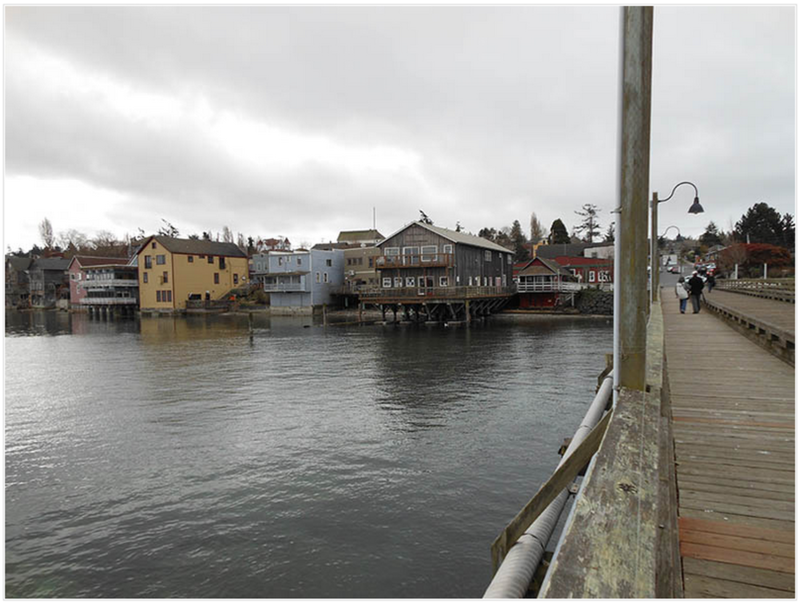 One more view of Coupeville from the pier and then it's time to head home. It takes about two hours driving to get back to my end of the Fraser Valley in British Columbia. 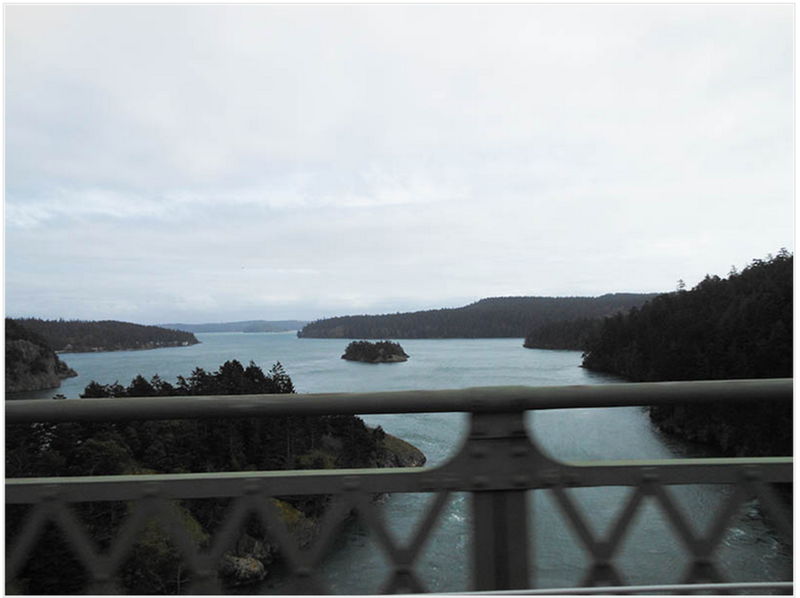 Even on a grey day, the view from the Deception Pass bridge is spectacular. ​Where will I be off to next? You'll have to check in and see. Join my mailing list below!